Bathroom clutter is a common and almost inevitable issue, whatever size the room and however many people are sharing it. Even the shiniest, newest bathroom can feel jumbled and messy if every surface is covered in stuff. From shampoo bottles to medicine, shaving kit to face cream, you need simple bathroom storage solutions that will organise and hide it all away. If you’re planning on overhauling your existing space or installing a new bathroom, thinking about storage early in the design process is essential. 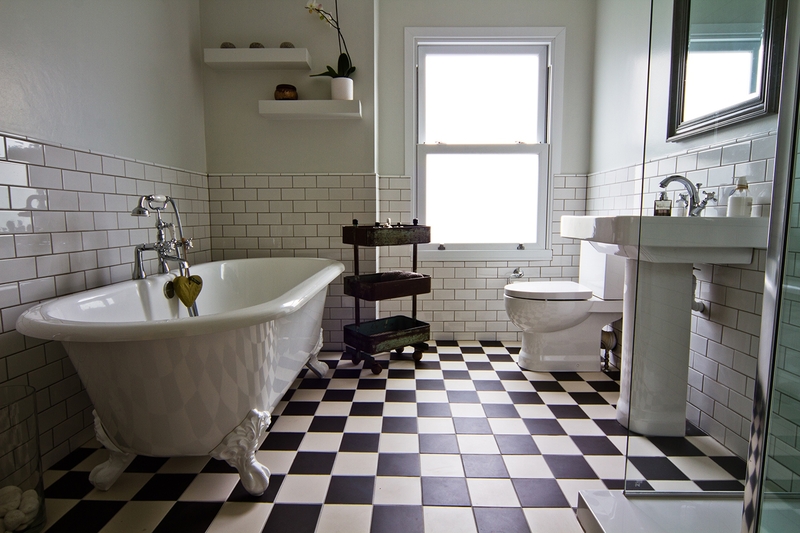 As one of the most hardworking rooms in the house, the bathroom is sometimes overlooked. But it’s also one of the only other rooms, apart from your reception room, that visitors will use. A beautiful bathroom will not only make you feel proud to show people around, it will also provide a tranquil space to unwind and relax. From bespoke cabinets to recessed shelving, clever bathroom storage solutions can offer ample space for essentials. And they can look fabulous too. Having a bespoke unit made will ensure you get maximum use out of your particular space. You can hide toiletries behind closed doors, whilst keeping them easily accessible. A bespoke unit makes a great feature piece in the room as well as being functional, whether you opt for something sleek and clean-lined or a cabinet with a vintage feel. This is one of the most effective ways to organise your bathroom clutter. If you have existing tongue and groove cladding you can cover the front of your unit with this, or paint the cabinet the same colour as the walls to create a unified, seamless look. Floating shelves can be a slimline way to store bottles, towels and other toiletries. Keeping them high up will add a sense of height to the room. To make a small bathroom seem larger, integrate your shelving into the walls by keeping them all the same colour. Alternatively you can make a feature out of them with contrasting or monochrome tones, or using wood to bring some natural warmth and softness to a minimalist design. In addition to fixed or bespoke storage solutions you can use portable items, such as woven baskets, ladders and bookcases. These are not only practical they also bring a lovely naturalistic texture to a space. 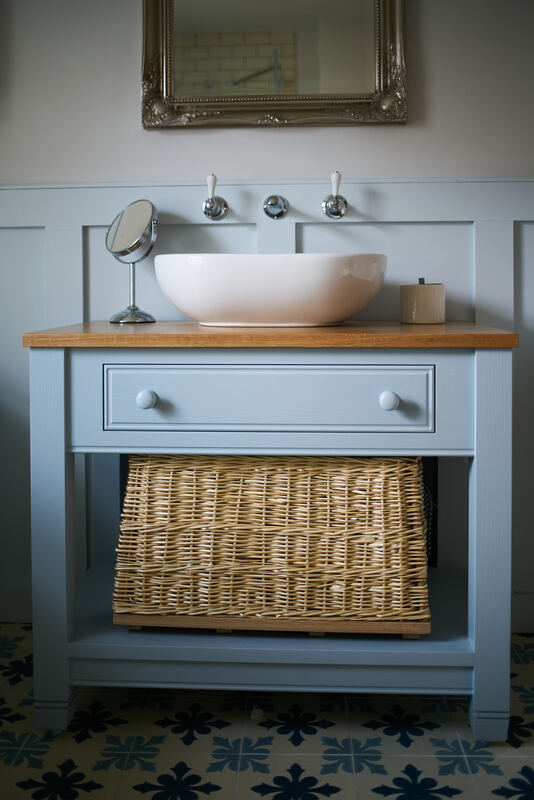 Consider upcycling a vintage washstand, with storage beneath, and making it a focal point in the bathroom. 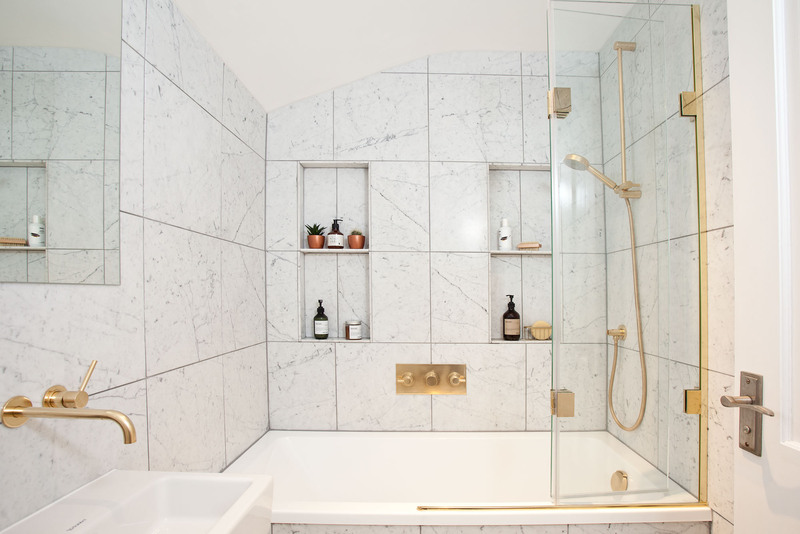 Clever bathroom designers know how to make the best use of every last inch of a space. By boxing in unsightly pipes with false walls you can also create niche shelving, which adds a designer feel to a room. These look great next to the bath, stacked with fluffy towels and good-looking bath products. You can keep the recess the same colour as the wall to keep a sense of flow and space, or use contrasting tones to add a pop of colour. We love niche shelves set into a partition dividing a room where the bath takes centre stage. This ensures that things are easily to hand when you’re soaking in the bath, and also works when you want to create a distinct area for a wet room. Once you’ve figured out the best bathroom storage solution – or combination of solutions – for your household, do a quick edit of all your toiletries. Get rid of any that you just won’t use, put shampoos and conditioners into smart bottles (there’s a great DIY here), and try to keep clutter at bay. For more on designing small bathrooms go here.